Pet stains? How well trained are your pets University Park? Pet Stains? The vast majority of people love animals and it seems that in the last few years the number of people who are keeping animals as pets in their own homes is increasing rapidly. According to some statistics more than 150 million dogs and cats are owned in the US alone. It seems that the old saying “a dog is a man’s best friend” is now more relevant than ever. It is not just dogs that people like to keep in their homes. There are many cat fans out there too. Regardless of the species of the pet, keeping and taking care of a pet can improve your health. Also can increase sense of responsibility in children and make everyone at home happy. There is no doubt that there are many advantages of being a pet owner, but there is also one disadvantage – it turns out that pets love to urinate. They are especially fond of urinating in the territory that they know the most – in other words in your home. Although they can urinate in different places in the home. They usually like to urinate on the carpet. If you want to avoid situations like this. You should spend some time teaching your dogs or cats to stop peeing on the carpets. 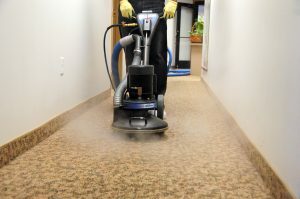 But, during this process carpet cleaning will definitely be one of your primary activities. In addition, even pets that are trained well will sometimes urinate on the carpets due to illness, stress or some other issue. Pet stains spread odor that can be very intense. Regardless of the level of odor and the size of the area covered with urine. You should take this problem seriously. This urine will not simply disappear and if it is left for some period of time it will penetrate the fiber of your carpet and the padding too. Ordinary cleaning is not an option for pet odor removal. Although you can try some home remedies and commercial cleaning products. The truth is that in most cases you will need a professional service to remove these stains. How Well Trained Was Your Pet? which leads to a dark ring at the location of the urine and this ring attracts dirt and dust and on top of that, you will notice a smell that will spread all over the home. This smell will be even more intense and almost unbearable on sunny and hot days. 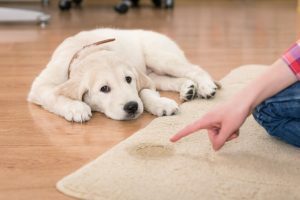 In most cases you will need a phase 2 pet treatment for urine stains and this is where professional carpet cleaning services like Ultra Clean Floor Care come into play. We are a cleaning service provider based in University Park. We specialize in pet stains. 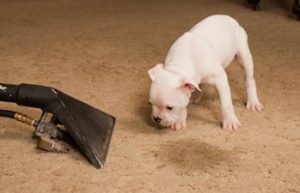 At Ultra Clean Floor Care we have all the necessary knowledge, equipment and products to remove urine, stains and odor caused by the aforementioned pet accidents. We are true professionals with vast experience in this field and we use special method that guarantees long-term effects.